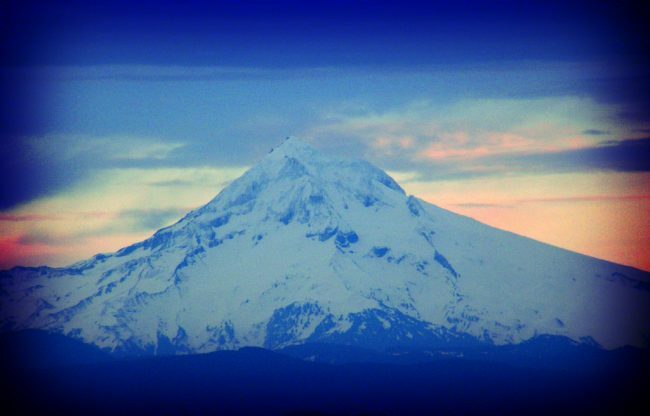 The forecast in Northern Oregon including Portland, Vancouver, and Salem metro areas and the Cascade Mountain Range was updated to include snow, rain, floods, and possible avalanches on Monday, Feb. 11, 2019. Heavy rain combined with melting snow prompted a flood alert in Portland. Oregon and its suburbs. Snowfall was replaced by rain on Sunday night began to melt the snow that blanketed the region on Friday night and early Saturday. Also contributing to the risk of flooding is the temperatures rose from the low-30s to the mid-40s on Monday. Elevations 500 miles above sea level or greater will likely experience new snowfall Monday night. Meteorologists predict several inches to blanket the area. The advisory includes “the greater Portland and Vancouver metro area, the western Columbia River Gorge, and areas north of Newberg,” according to KATU News. The station’s meteorologist reports this system is patchy and differs from the previous storm in Northern Oregon and Southwestern Washington. The Northwest Avalanche Center issued an avalanche warning for Mt. Hood. The notice was released ahead of the forecast of at least three feet of snow coupled with high winds in the Cascade Mountain Range. Both campuses of the Columbia Gorge Community College will be closed on Tuesday, February 12. In Lewis County, Washington the Toledo and Winlock School Districts canceled preschool and regular classes will start two hours late. In Toledo, buses routes 3 and 9 are on snow routes. In Winlock, all morning and afternoon buses will run on snow routes. In Columbia Gorge, the Glenwood School District will open two hours late, the buses will run on snow routes. There will be no preschool. Goldendale schools will open two hours late. The following districts will be closed for the day, Centerville, Dufur, Hood River County, Klickitat, Lyle, Mill A, North Wasco County, Sherman County, White Salmon, and Wishram. The Mid-Columbia Children’s Council announced numerous Head Start closures. The Oregon Child Development Coalition reported the Dalles and Odell Head Start Centers will be closed.